You know those nights when you come home from work, you have no plans for dinner, you haven’t thawed anything from the freezer, and your veggie crisper has seen better days? Life is hard. These things happen. But instead of settling for mediocre take-out (and the regret that follows), wouldn’t you rather sit down to a big, bountiful, made-from-scratch skillet of healthy dinner like this? It doesn’t have to be as hard it sounds, I promise. Not with this recipe in your back pocket. It’s made mostly from pantry staples, it’s drop-dead easy, and it’s FAST FAST FAST. I’ll give you the run-down! This is the heart of it! Red pepper flakes, olive oil, and chicken not pictured. I’m a huge fan of Trader Joe’s canned artichoke hearts; they’re firm but delicate, and they just seem like they’re extra high quality compared to some other brands I’ve struck out on. Grant and I both love artichokes, so I always keep a can in my pantry. 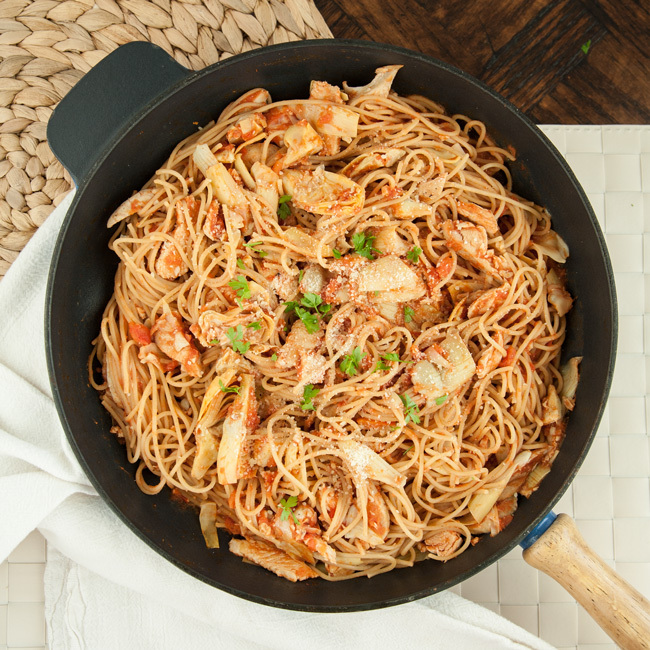 You’ll only be getting two pans dirty: your pasta pot, and the skillet where you’ll do your sauteing and simmering. Annnnd that’s all you’ll be doing… boiling pasta, sauteeing the garlic/red pepper flakes/artichokes/chicken, and taking a moment to simmer some crushed tomatoes onto the layers of flavor that you’ve so simply built. Toss it all together, garnish with herbs and cheese if you’re feeling fancy, and DEVOUR. That’s all there is to it! I like this dish best with chicken – a couple of already-cooked chicken breasts are a great simple supplement to the pantry ingredients. 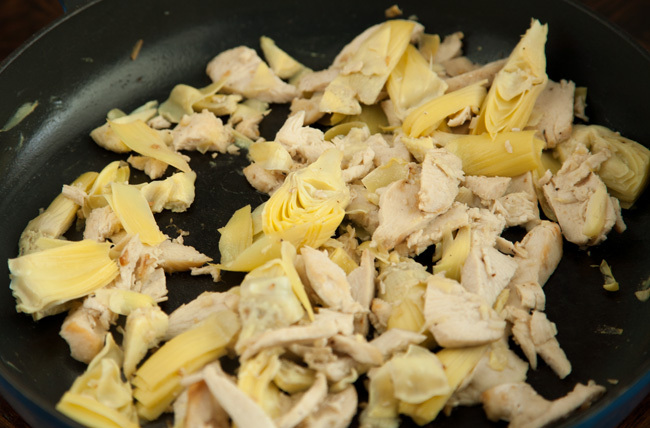 Or if you’re lacking any leftovers, you can take an extra moment to cook raw slices of chicken before adding the artichokes. Or maybe even canned tuna, if you’re into that kind of thing and want to keep this exclusively from the pantry? Or if you’d rather go meatless, the spicy, garlicky tomato-artichoke sauce is definitely flavorful enough to stand on its own. Options, people! 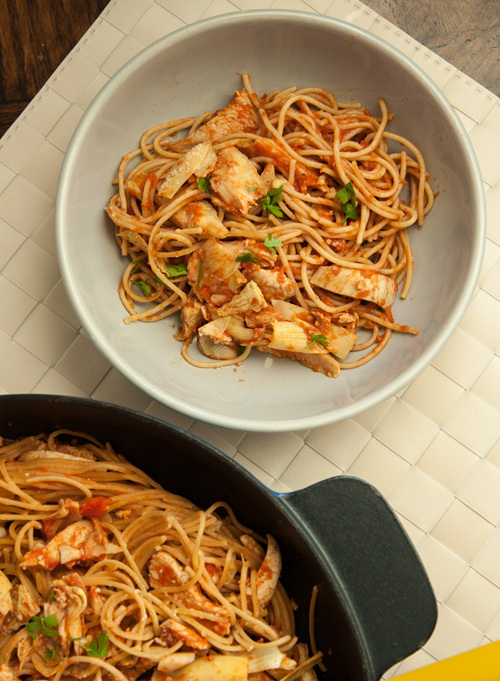 One of my favorite things about this recipe is that it’s a balanced way to eat pasta. By tossing our noodles with lean protein and fibrous vegetables, we get a more nutrient-dense meal and less of a glucose spike than we would get from the pasta alone. It’s a win-win situation. Before we part, a little real talk: for my latest blog posts, I’ve been playing with different content and I haven’t really been the best about sharing quick/easy healthy dinner recipes (which are my favorite, ugh!) I’m planning to offer more in that department, but to see more of the super-simple foods that sustain me daily, follow along on Instagram! Let’s chat about food and other fun stuff; it would totally make my day. Bring a large pot of salted water to a boil and cook the pasta according to the instructions on the packaging. When the pasta is al dente, drain it in a colander and set aside. 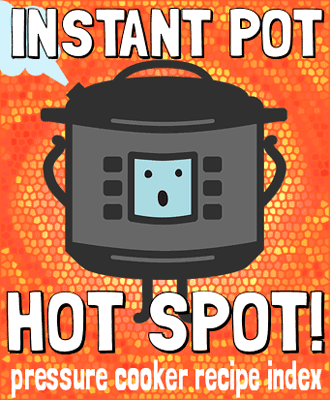 While waiting for the water to boil and the pasta to cook, place a large, deep skillet over medium heat. Add the olive oil, garlic, and red pepper flakes and cook for about 1 minute, stirring frequently, until fragrant. Add the artichoke hearts and chicken (if using) and saute for another 2-3 minutes. Add the crushed tomatoes and simmer for another 5 minutes. Taste the sauce for seasoning, and add salt if needed. Add the drained pasta to the skillet and toss to combine. Garnish with fresh herbs and grated Parmesan and serve immediately. 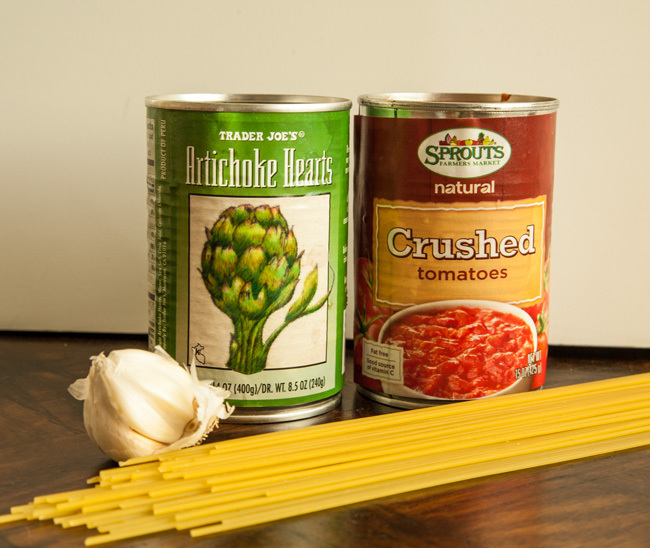 Great recipe with two favorites, crushed tomatoes and artichokes! Will make it for dinner. It’s definitely a favorite in my house! 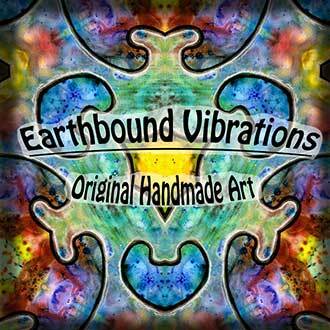 I hope you love it too! Love these flavors. 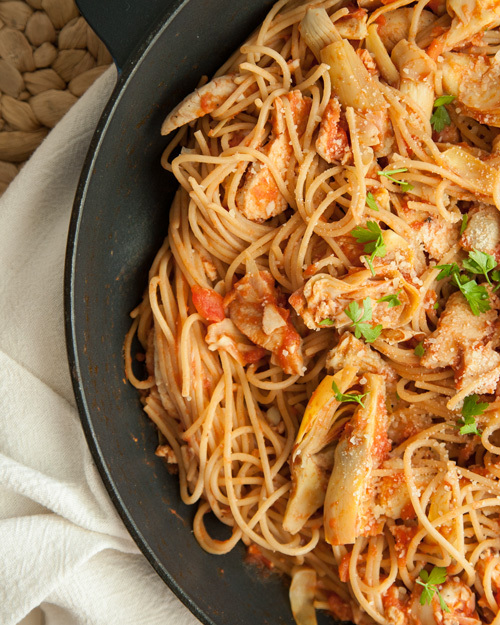 What a great pasta dish! I just wanted to let you know I have a website (Simply Creative Recipes) where I showcase recipes that I find and I am linking to this post if you don’t mind. Please feel free to submit any of your recipes to my site if you’d like. Of course, thanks for sharing! I seachred a bunch of sites and this was the best. tales from the kitchen of an insatiably curious registered dietitian nutritionist.